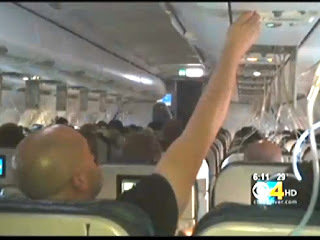 Passengers on Frontier Airlines Flight 787 were startled when the oxygen masks dropped as the airplane was cruising above the Rocky Mountains at 36,000 feet last month. But just how confused they were by an apparent shortage of oxygen masks is just becoming clear from a story reported by Rick Sallinger of the CBS television station in Denver. 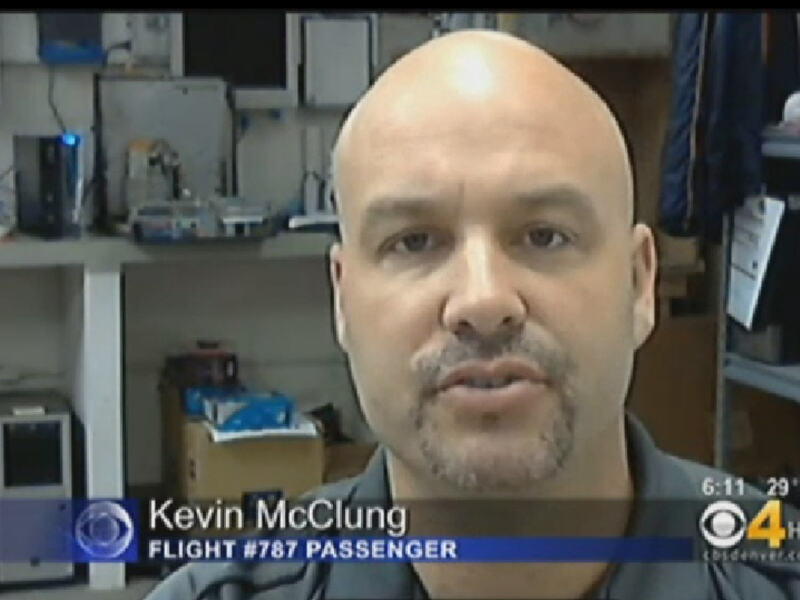 As the pilots began a quick descent and a return to the airport in Denver that day, passenger Kevin McClung noticed that not everyone had oxygen masks. "All of the masks did not deploy,” he told Sallinger. “There are two rows that were ahead of me that did not have masks." Further, McClung said while his wife’s mask was providing her with a stream of oxygen-dense air, his was not working at all and he thought others were having the same trouble. 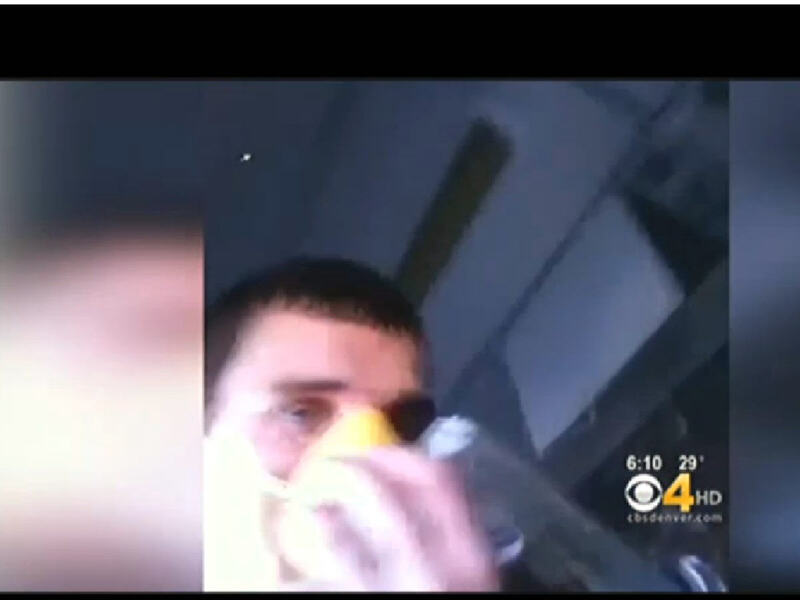 Photos and a video show a man without a mask struggling with the air vent above his head. These images are being reviewed by the Federal Aviation Administration to determine if Frontier’s oxygen system was defective, Sallinger said. Peter Kowalchuk, a spokesman for the airline told Sallinger there were no problems with the emergency oxygen system on the Airbus A319 saying, “If all the masks dropped, the only way that there could be unused masks or people without a mask is if there was a mask that was unused, because somebody used the wrong mask and we believe that is what happened.” Well if Frontier can follow that, good for them. As for me, say what Mr. Kowalchuk? Several years ago I wrote a lengthy article about issues with hypoxia (If you’ve got an hour to spend, be my guest.) Here's the condensed version: You can quibble all you like about how long it takes to get really sick when an airplane loses pressurization but you can take it to the bank that there's an immediate diminution of cognitive skills; judgment and comprehension. Since we're all presumably breathing at ground level now, here's a quick quiz. How important is it that emergency oxygen masks be easy to find and ready to don? Answer: Pretty darn important. Whether the McClungs were confused about the number and serviceability of the oxygen masks because they were already feeling the effects of oxygen deprivation, their story is valuable because it reveals potential problems. Is the deployment of the masks confusing? Are the overhead oxygen compartments likely to create disputes among passengers who cannot tell which masks go to which seats? Don't think decompression events are mere customer service blips, requiring re-booking of passengers and a heartfelt apology for the inconvenience. Alarm bells should start ringing because the danger is real. One hundred and twenty-one people died in the crash of Helios Flight 522 in 2005. In that accident, a Boeing 737 crashed near Athens after the pilots succumbed to hypoxia on ascent and the plane kept flying on autopilot until it ran out of fuel. 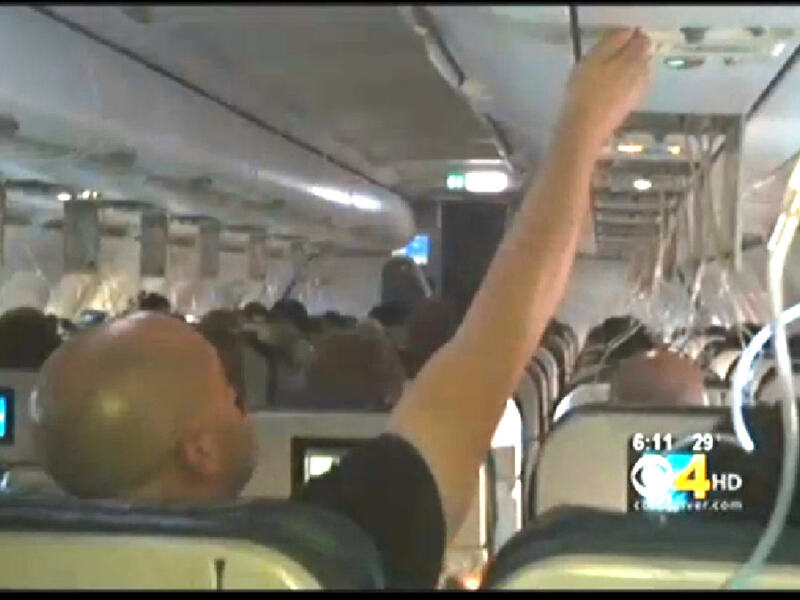 The passengers died hours earlier having run through the 12-15 minute oxygen supply at their seats. Another hypoxia related event worth reviewing is the 1996 decompression aboard American Trans Air Flight 406 which you can find here. The McClungs and everyone else aboard Flight 787 have put Frontier and the A319 through a real-time test run of the emergency oxygen system. How well did it fare? If safety professionals are clear-headed they'll follow Sallinger's example and investigate this event further. I hope that this does find it's way through the proper channels and validate what and how I saw it. I disagree that I was under any type of oxygen deprivation influence when I took pictures or helped keep people calm knowing what was going on. Thank you for reporting on this! There was at least one row on the plan that I know of whose O2 masks did not fall down. On the second plane the 2 ladies were re-seated next to me and both of the ladies (from Nebraska) said they're masks never fell and were upgraded to better seats. What is missing is how the people in the bathrooms didn't have access to oxygen masks, since the airlines quietly removed them months ago. Just a bit of a heads up on the A319 Passenger Oxygen System. This aircraft is fitted with chemical oxygen generators and there is one for each row on each side of the cabin, at each flight attendant seat, galley and in the lavatories. Normally, they are distributed throughout the cabin as a 3 or 4 mask unit. The yellow oxygen mask has a lanyard attached to it and each of the lanyards is bussed to a key ring which is run through a pin that preventing the plunger in the container from setting off the chemical (self contained) reaction. When the masks drop, you are expected to pull the mask toward your face which should pull the lanyard and pull out the pin. The chemical oxygen generator will then supply oxygen to all the masks on that canister. Masks that do not drop all the way down, for example, if tangled, may need the lanyard pulled manually. The bag on the mask will not necessarily inflate. These oxygen canisters will typically last 15-20 minutes and they get very hot. So you may smell something like it is being heated up. Lack of air in the cabin from the air-conditioning and pressurization system could make the cabin warmer too. The airline is required to periodically check that the oxygen mask drop system works on the ground and that all panels open, including the lavatory units. Occasionally the panels stick which is not helpful. When the masks fall, there will be an automatic announcement and usually a video from the the aircraft's avionics system. From the pictures you could conclude that two panels got stuck on that flight although from 36,000 feet it's not too serious. If you were flying in a 767 at 42,000 feet you would need to act fairly quickly (15 seconds). Finally, when the masks drop and are used and the aircraft returns to the gate, the airline must put the aircraft out of service to have the used oxygen canisters and masks replaced. 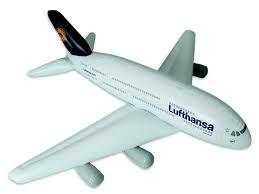 This can take several hours and is subject to spares availability at the airport. It is the duty of flight attendants to attend to passengers experiencing difficulties with masks. They have have been trained to use an Airbus tool to release panels and in extreme situations can provide the passenger with a portable oxygen bottle and mask but there are only a few to go around. Just so you all know... those dixie cup masks are as good as useless in the event of a rapid decompression at high altitude.